Spring is in the air. Beautiful colors and a lot to celebrate as we enjoy new life that comes our way in April. 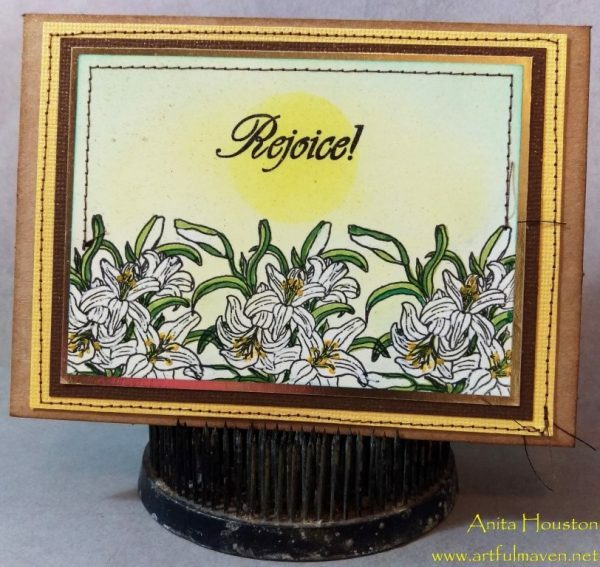 Use the April stamp collection to inspire your colorful spring creations. 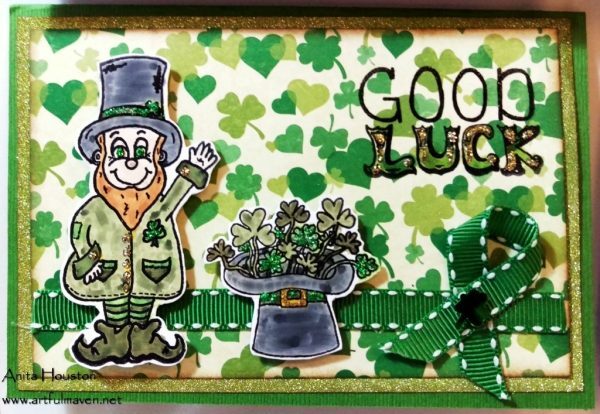 How lucky are you to be inspired by these stamps designed just for March. It won't take a pot of gold to enjoy creating. 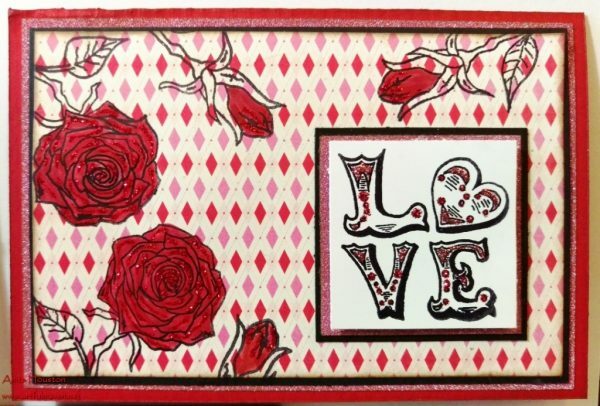 Love is in the air and why not create custom cards and art to express your love. 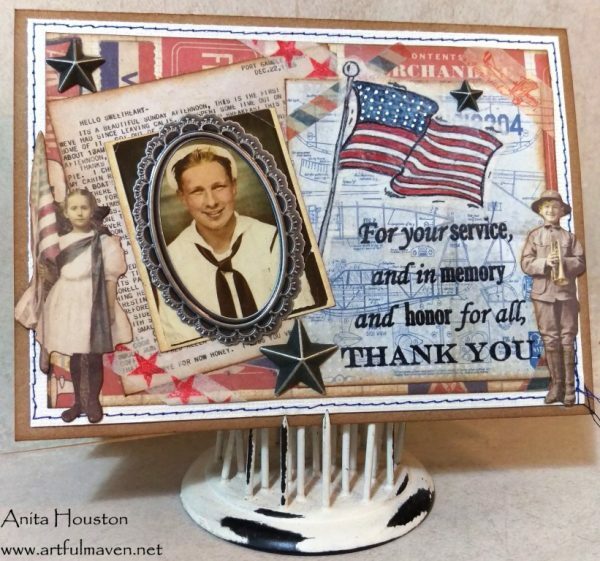 Check out these adorable creations made with love using Artful Maven February Stamps. 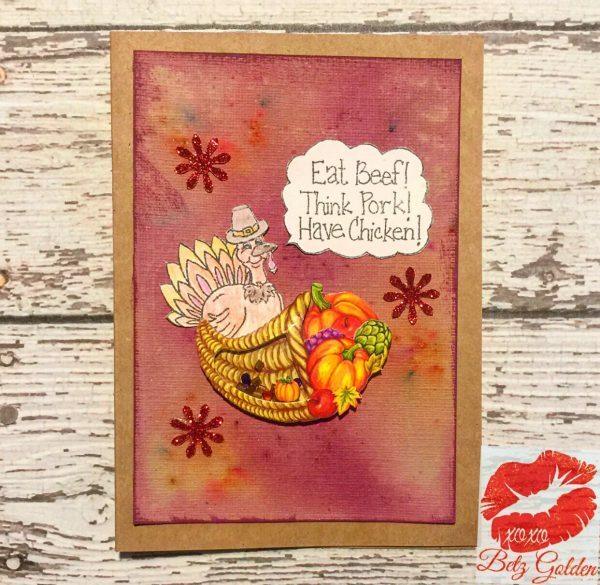 Betz created this card for Thanksgiving using the November stamp from WeCraft, Ken Oliver's Color Burst for Brutus Monroe and a shaker sticker from her stash (you can find similar ones at most craft stores).